[A.146] A. Pasquazi, L. Caspani, M. Peccianti, M. Clerici, M. Ferrera, L. Razzari, D. Duchesne, B.E. Little, S.T. Chu, D.J. Moss, and R. Morandotti, “Self-Locked Optical Parametric Oscillation in CMOS Compatible Microring Resonators”, Opt. Exp. 21, 13333 (2013). [A.145] O. Yaakobi, M. Clerici, L. Caspani, F. Vidal, and R. Morandotti, "Complete Pump Depletion by Autoresonant Second Harmonic Generation in a Nonuniform Medium", Journal of the Optical Society of America B 30, 1637 (2013). [A.142]M. Shalaby, M. Peccianti, Y. Ozturk, and R. Morandotti, "A magnetic Non-Reciprocal Isolator for Broadband Terahertz Operation." Nature Comm. 4, 1558 (2013). [A.141] M. Clerici, L. Caspani, E. Rubino, M. Peccianti, M. Cassataro, A. Busacca, T. Ozaki, D. Faccio, and R. Morandotti, "Counterpropagating Frequency Mixing With Terahertz Waves in Diamond." Opt. Lett. 38, 178 (2013). [A.139] Y. Hu, M. Li, D. Bongiovanni, M. Clerici, J. Yao, Z. Chen, J. Azaña, and R. Morandotti, "Spectrum To Distance Mapping via Nonlinear Airy Pulses." Opt. Lett. 38, 380 (2013). [A.138] A. Pasquazi, M. Peccianti, J. Azaña, D.J. Moss, and R. Morandotti, "FLEA: Fresnel-Limited Extraction Algorithm Applied to Spectral Phase Interferometry for Direct Field Reconstruction (SPIDER)." Opt. Exp. 21, 5743 (2013). [A.137] P. Zhang, Y. Hu, T. Li, D. Cannan, X. Yin, R. Morandotti, Z. Chen, and X. Zhang, “Nondiffracting Accelerating Wave Packets Beyond the Paraxial Limit”, Bulletin of the American Physical Society, 58 (2013). [A.136] M. Peccianti, M. Clerici, A. Pasquazi, L. Caspani, S.P. Ho, F. Buccheri, J. Ali, A. Busacca, T. Ozaki, and R. Morandotti, "Exact Reconstruction of THz Sub-λ Source Features in Knife-Edge Measurements”, IEEE Journal of Selected Topics in Quantum Electronics, 19, 1 (2013). [A.134] D.D. Hudson, J.N. Kutz, T.R. Schibli, Q. Chao, D.N. Christodoulides, R. Morandotti, and S.T. Cundiff, “Fixed-point attractor for chirp in nonlinear waveguide arrays”, Phys. Rev. A, 85, 3 (2012). [A.133] A. Pasquazi, R. Morandotti, M. Peccianti, B.E. Little, S.T. 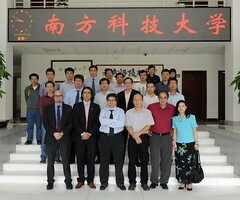 Chu, and D. Moss, “Towards Ultrafast Integrated Optical Clocks”, Optics and Photonics News, 23, 12 (2012). [A.132] A. Pasquazi, M. Peccianti, B. E Little, S.T. Chu, D.J. Moss, and R. Morandotti, “Stable, dual mode, high repetition rate mode-locked laser based on a microring resonator”, Op. Ex. 20, 24 (2012). [A.131] L. Razzari, R. Morandotti,“Optics Gain and Loss Mixed in the Same Cauldron”, Nature, 488,163 (2012). [A.130] I. Al-Naib, R. Singh, C. Rockstuhl, F. Lederer, S. Delprat, D. Rocheleau, M. Chaker, T. Ozaki, and R. Morandotti, “Excitation of a High-Q Subradiant Resonance Mode in Mirrored Single-gap Asymmetric Split Ring Resonator Terahertz Metamaterials”, Applied Physics Letters, 101, 07110(2012). [A.129] Y. Hu, Z. Sun, D. Bongiovanni, D. Song, C. Lou, J. Xu, Z. Chen Z, and R. Morandotti, “Reshaping the Trajectory and Spectrum of Nonlinear Airy Beams”, Opt. Lett. 37, 3201 (2012). [A.128] A. Pasquazi, M. Peccianti, R. Morandotti, J. Azaña, and D.J. 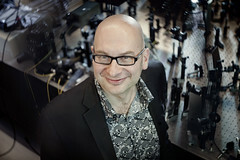 Moss, “Measurement of High Time-bandwidth Pulses on a Chip with SPIDER”, Photonics Letters of Poland, 4, 8 (2012). [A.127] L. Razzari, A. Toma, M. Clerici, M. Shalaby, G. Das, C. Liberale, M. Chirumamilla, R.P. Zaccaria, F.D. Angelis, M. Peccianti, R. Morandotti, and E. Di Fabrizio“Terahertz Dipole Nanoantenna Arrays: Resonance Characteristics”, Plasmonics 8, 1, Epub (2012). [A.126] K.A. Rutkowska, J. Jasiński, K. Świtkowski, B.A. Malomed, and R. Morandotti,“Influence of Magneto-optic Effects on Light Self-focusing in Kerr Media”, Photonics Letters of Poland, 4, 11 (2012). [A.125] G. Sharma, I. Al-Naib, H. Hafez, R. Morandotti, D.G. Cooke, and T. Ozaki, “Carrier Density Dependence of the Nonlinear Absorption of Intense THz Radiation in GaAs”, Op. Ex. 20, 18016 (2012). [A.124] P. Zhang, Y. Hu, D. Cannan, A. Salandrino, T. Li, R. Morandotti, X. Zhang, and Z. Chen, “Generation of Linear and Nonlinear Nonparaxial Accelerating Beams”, Opt. Lett. 37, 2820 (2012). [A.121]M. Peccianti, A. Pasquazi, Y. Park, B.E. Little, S.T. Chu, D.J. Moss, and R. Morandotti, “Demonstration of a stable ultrafast laser based on a nonlinear microcavity”, Nature Comm. 3, 765 (2012). [A.120] D.D. Hudson, N.J. Kutz, T.R. Schibli, D.N. Christodoulides, R. Morandotti, and S.T. Cundiff, “Spatial Distribution Clamping Of Discrete Spatial Solitons Due To Three Photon Absorption In AlGaAs Waveguide Arrays”, Op. Ex. 20, 1939 (2012). [A.119] A. Pasquazi, Y.Y. Park, S.T. Chu, B.E. Little, F. Légaré, R. Morandotti, J. Azaña, and D.J. Moss, “Time-Lens Measurement of Subpicosecond Optical Pulses in CMOS Compatible High-Index Glass Waveguides”, IEEE Journal of Selected Topics in Quantum Electronics, 18, 629 (2012). [A.118] L. Razzari, A. Toma, M. Shalabi, M. Clerici, R. Proietti Zaccaria, C. Liberale, S. Marras, I. Al-Naib, G. Das, F. De Angelis, M. Peccianti, A. Falqui, T. Ozaki, R. Morandotti, and E. Di Fabrizio, “ Extremely Large Extinction Efficiency and Field Enhancement in Terahertz Resonant Dipole Nanoantennas”, Op. Ex. 19, 26088 (2011). [A.116] R. Singh,I. Al-Naib, Y. Yang, D.R. Chowdhury, W. Cao, C. Rockstuhl, T. Ozaki, R. Morandotti, and W. Zhang, “Observing Metamaterial Induced Transparency in Individual Fano Resonators with Broken Symmetry”, Appl. Phys. Lett. 99, 201107 (2011). [A.115] K. Dolgaleva, A. Malacarne, P. Tannouri, L.A. Fernandes, J.R. Grenier, J.S. Aitchison, J. Azaña, R. Morandotti, P.R. Herman, and P.V.S. Marques, “Integrated Optical Temporal Fourier Transformer Based on Chirped Bragg Grating Waveguide”, Opt. Lett. 36, 4416 (2011). [A.114] M. Ferrera, Y. Park,L. Razzari, B.E. Little, S.T. Chu, R. Morandotti, D.J. Moss, and J. Azaña, “All-optical 1st and 2nd Order Integration on a Chip”, Op. Ex. 19, 23153 (2011). [A.112] A. Tehranchi, R. Morandotti, and R. Kashyap, “Efficient Flattop Ultra-wideband Wavelength Converters based on Double-pass Cascaded Sum and Difference Frequency Generation using Engineered Chirped Gratings”,Op. Ex. 19, 22528 (2011). [A.111] Y. Lahini, Y. Bromberg, Y. Shechtman, A. Szameit, R. Morandotti, D. Christodoulides and Y. Silberberg, “Hanbury Brown and Twiss Correlations of Anderson Localized Waves”, Phys. Rev. A84, 041806 (2011). [A.110] K. Rutkowska, D. Duchesne, M. Volatier, R. Arès, V. Aimez, and R. Morandotti, “Continuous-Wave Second Harmonic Generation in Sub-micron AlGaAs Waveguides”, Acta Physica Polonica A120, 725 (2011). [A.109] A. Pasquazi, M. Peccianti, Y. Park, B.E. Little, S.T. Chu, R. Morandotti, J. Azaña and D.J. Moss, “Sub-picosecond Phase-sensitive Optical Pulse Characterization on a Chip”, Nature Photonics, 5, 618 (2011). [A.108] F. Blanchard, D. Golde, F.H. Su, L. Razzari,G. Sharma, R. Morandotti, T. Ozaki, M. Reid, M. Kira, S.W. Koch, and F.A. Hegmann, “Effective Mass Anisotropy of Hot Electrons in Nonparabolic Conduction Bands of n-doped InGaAs Films using Ultrafast Terahertz Pump-Probe Techniques”, Phys. Rev. Lett. 107, 107401 (2011). [A.107]J.-Y. Hwang, R. Morandotti, and A. Pignolet, “Strong Faraday Rotation in Ce and Bi Comodified Epitaxial Iron Garnet Films: Valence Control Through Strain Engineering”, Applied Physics Letters 99, 051916 (2011). [A.106] M. Shalaby, H. Merbold, M. Peccianti, L. Razzari, G. Sharma, T. Ozaki, R. Morandotti, T. Feurer, A. Weber, L. Heyderman, B. Patterson, H.A.F. Sigg, “Concurrent Field Enhancement and High Transmission of THz Radiation in Nanoslit Arrays”, Applied Physics Letters 99, 041110 (2011). [A.105] X. Ropagnol, R. Morandotti, T. Ozaki, and M. Reid, "THz Pulse Shaping and Iimproved Optical-to-THz Conversion Efficiency using a Binary Phase Mask”, Opt. Lett. 36, 2662 (2011). [A.104] D. Duchesne, K.A. Rutkowska, M. Volatier, F. Légaré, S. Delprat, M. Chaker, D. Modotto, A. Locatelli, C.D. Angelis, M. Sorel, D.N. Christodoulides, G. Salamo, R. Arès, V. Aimez and R. Morandotti, “Second Harmonic Generation in AlGaAs Photonic Wires Using Low Power Continuous Wave Light”. Opt. Exp. 19, 12408 (2013). [A.103] X. Ropagnol,R. Morandotti, T. Ozaki, M. Reid, “Toward High-Power Terahertz Emitters using Large Aperture ZnSe Photoconductive Antennas”, IEEE Photonics Journal, 3, 174 (2011). [A.102] J.-Y. Hwang, M. Ferrera, L. Razzari, A. Pignolet, and R. Morandotti, “The role of Bi3+ Ions in Magneto-Optic Ce and Bi Comodified Epitaxial Iron Garnet Films”, Applied Physics Letters, 97, 161901 (2010). [A.101]M. Peccianti, A. Pasquazi, G. Assanto and R. Morandotti, “Enhancement of Third Harmonic Generation in Nonlocal Spatial Solitons”, Opt. Lett.35, 3342 (2010). [A.98] M. Ferrera, Y. Park,L. Razzari, S.T. Chu, B.E. Little, R. Morandotti, D.J. Moss, and J. Azaña, “On-chip CMOS-compatible all-optical integrator”, Nature Comm.1, art. 29, DOI 10.1038/ncomms1028(2010). [A.97] K.A. Rutkowska, B.A. Malomed, and R. Morandotti, “Control of the Collapse of Bimodal Light Beams by Magnetically Tunable Birefringences”, Op. Ex. 18, 8879 (2010). [A.94] M. Peccianti, I.B. Burgess, G. Assanto, andR. Morandotti, “Space-Time Bullet Trains via Modulation Instability and Nonlocal Solitons”, Op. Ex. 18, 5934 (2010). [A.93] A. Pasquazi, A. Busacca, S. Stivala, R. Morandotti and G. Assanto, “Nonlinear Disorder Mapping Through Three-Wave Mixing”, IEEE Photonics Jour. l2, 18 (2010). [A.92] M. Volatier, D. Duchesne, R. Morandotti, R. Arès, and V. Aimez, “Extremely High Aspect Ratio GaAs and GaAs/AlGaAs Nanowaveguides Fabricated Using Chlorine ICP Etching with N2 Promoted Passivation”,Nanotechnology21, 134014 (2010). [A.90] S. Stivala, A.C. Busacca, A. Pasquazi, R.L. Oliveri, R. Morandotti and G. Assanto, “Random Quasi-Phase-Matched Second-Harmonic Generation in Periodically Poled Lithium Tantalite”, Opt. Lett.35, 363 (2010). [A.88] Y. Bromberg, Y. Lahini, R. Morandotti and Y. Silberberg,“Photon Correlations in Waveguide Lattices”, Optics and Photonics News, Special Issue “Optics of the Year”, 20, 22 (2009). [A.86] Y. Linzon, B.A. Malomed, M. Zaezjev, R. Morandotti, M. Volatier, V. Aimez, R. Arès, and S. Bar-Ad,“Wave Interactions and Wave-Structure Scattering in Nonlinear Patterned Waveguides”, Math. and Comp. in Sim. Special Issue 80, 666 (2009). [A.85] K.A. Rutkowska, Y. Linzon, B.A. Malomed, R. Morandotti, “Control of Nonlinear Collapse in Magnetooptical Kerr Media”,Phot. Lett. Poland, 1, 166 (2009). [A.84] A. Salandrino, K. Makris, D.N. Christodoulides, Y. Lahini, Y. Silberberg, R. Morandotti, “Analysis of a Three-Core Adiabatic Directional Coupler”, Optics Communications, 282, 4524 (2009). [A.83] P.-M. Berube, J.S. Poirier, J. Margot, L. Stafford, P.F. Ndione, M. Chaker, R. Morandotti, “Correlation between Surface Chemistry and Ion Energy Dependence of the Etch Yield in Multicomponent Oxides Etching”, Appl. Phys. Lett. 106, 063302 (2009). [A.81] P.F. Ndione, M. Ferrera, D. Duchesne, L. Razzari, M. Gaidi, M. Chaker, R. Morandotti, “Hybrid Integration of CaxBa1-xNb2O6 Thin Film Electro-Optic Waveguides with Silica/Silicon Substrates”, Op. Ex. 17, 15128 (2009). [A.79] Y. Linzon, K.A. Rutkowska, B.A. Malomed, and R. Morandotti, “Magnetooptical Control of Light Collapse in Bulk Kerr Media”, Phys. Rev. Lett.103, 053902 (2009). [A.78] Y. Lahini, R. Pugatch, F. Pozzi, M. Sorel, R. Morandotti, N. Davidson, and Y. Silberberg, “Direct Observation of a Localization Transition in Quasi-Periodic Photonic Lattices”, Phys. Rev. Lett. 103, 013901 (2009). [A.76] Y. Silberberg, Y. Lahini, Y. Bromberg, E. Small, and R. Morandotti, “Universal Correlations in a Nonlinear Periodic 1D System”, Phys. Rev. Lett. 102, 233904 (2009). [A.75] F.H. 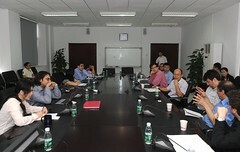 Su, F. Blanchard, G. Sharma, L. Razzari, A. Ayesheshim, T.L. Cocker, L.V. Titova, T. Ozaki, J.-C. Kieffer, R. Morandotti, M. Reid, and F.A. 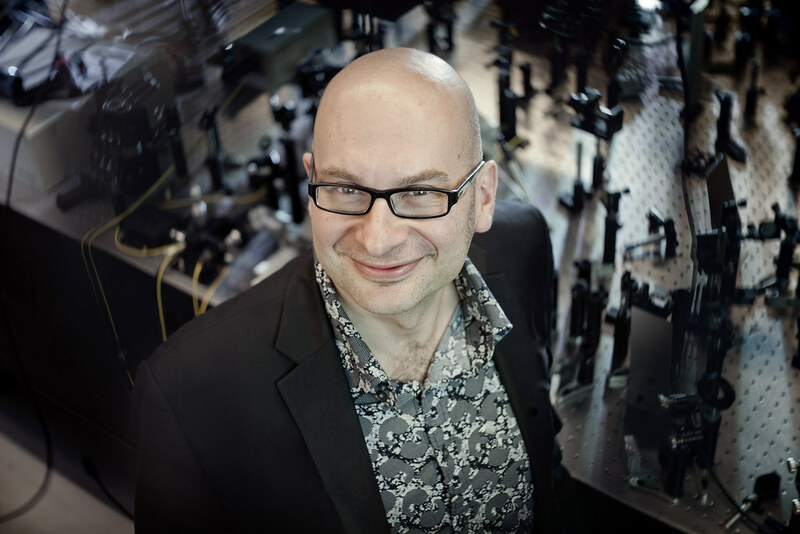 Hegmann, “Terahertz Pulse Induced Intervalley Scattering in Photoexcited GaAs”, Op. Ex.17, 9620 (2009). [A.74]I.B. Burgess, M. Peccianti, G. Assanto, and R. Morandotti, “Accessible Light Bullets via Synergetic Nonlinearities”,Phys. Rev. Lett. 102, 203903 (2009). [A.73] M. Chandra Sekhar, J.-Y. Hwang, M. Ferrera, Y. Linzon, L. Razzari, C. Harnagea, M. Zaezjev, A. Pignolet, and R. Morandotti, “Strong Enhancement of the Faraday Rotation in Ce and Bi Comodified Epitaxial Iron Garnet Thin Films”,Appl. Phys. Lett.94, 181916 (2009). [A.71] F. Blanchard, G. Sharma,X. Ropagnol, L. Razzari, R. Morandotti, and T. Ozaki “Improved Terahertz Two-Color Plasma Sources Pumped by a High Intensity Laser Beam”Op. Ex. 17, 6044 (2009). [A.70] D. Duchesne, L. Razzari, L. Halloran, R. Morandotti, A.J. Springthorpe, D.N. Christodoulides, and D.J. Moss, “Two-photon Photodetector in a Multiquantum Well GaAs Laser Structure at 1.55μm”,Op. Ex.17, 5298 (2009). [A.67] Y. Linzon, M. Ferrera, L. Razzari, A. PignoletandR. Morandotti,“Polarization Proximity Effect in Isolator Crystal Pairs”, Opt. Lett.33, 2871 (2008). [A.66] L.M. Rivas, M.J. Strain, D. Duchesne, A. Carballar, M. Sorel, R. Morandotti and J. Azaña, "Picosecond Linear Optical Pulse Shapers Based on Integrated Waveguide Bragg Gratings"Opt. Lett. 33, 2425 (2008). [A.65] Y. Lahini, F. Pozzi, M. Sorel, R. Morandotti, and Y. Silberberg, “Effect of Nonlinearity on Adiabatic Evolution of Light”, Phys. Rev. Lett. 101, 193901 (2008). [A.64] D.D. Hudson, K. Shish, T.R. Schibli, J.N. Kutz, D.N. Christodoulides, R. Morandotti, et S.T. Cundiff, “Nonlinear Femtosecond Pulse Reshaping in Waveguide Arrays”, Opt. Lett. 33, 1440 (2008). [A.63] S. Suntsov, K.G. Makris, D.N. Christodoulides, G.I. Stegeman, R. Morandotti, M. Volatier, V. Aimez, R. Arès, E.H. Yang, and G. Salamo, “Optical Spatial Solitons at the Interface between Two Dissimilar Periodic Media: Theory And Experiment”, Op. Ex.16, 10480 (2008). [A.62] Y. Linzon,B.A. Malomed, M. Zaezjev, R. Morandotti, M. Volatier, V. Aimez, R. Arès, and S. Bar-Ad, “Nonlinear Wave Interactions in Patterned Silica and AlGaAs Waveguides”, Cent. Europ. Journ. Phys. 1895 (2008). [A.61] Y. Shavit, Y. Linzon, R. Morandotti, M. Volatier, V. Aimez, R. Arès, and S. Bar-Ad, “Power Dependent Switching of Nonlinear Trapping by Local Photonic Potentials”, Opt. Lett. 33, 1056(2008). [A.59] P.F. Ndione, M. Gaidi, C. Durand, M. Chaker, R. Morandotti, and G. Rioux, “Structural and Optical Properties of Epitaxial CaxBa1−xNb2O6 Thin Films Grown on MgO by Pulsed Laser Deposition”,J. Appl. Phys, 103, 033510 (2008). [A.57] S. Suntsov, K.G. Makris, G.A. Siviloglou, R. Iwanow, R. Schiek, D.N. Christodoulides, G.I. Stegeman, R. Morandotti, H. Yang, G. Salamo, M. Volatier, V. Aimez, R. Arès, M. Sorel, Y. Min, W. Sohler, X. Wang, A. Bezryadina, and Z. Chen, “Observation of One- And Two-Dimensional Discrete Surface Spatial Solitons” (inv. review), J. of Nonlin. Opt. Phys. & Mat16, 401 (2007). [A.56] L. Razzari, R. Helsten, M. Ferrera, P.F. Ndione,M. Gaidi, C. Durand, M. Chaker, and R. Morandotti,“Pockels Response in Calcium Barium Niobate Thin Films”,Appl. Phys. Lett. 91, 261101 (2007). [A.55] D. Duchesne, P.Cheben, R. Morandotti, B. Lamontagne, D. Xu, S. Janz, and D. Christodoulides, “Group Index Birefringence and Loss Measurements in Silicon-On-Insulator Photonic Wire Waveguides”,Optical Engineering 46, 104602 (2007). [A.54] S. Suntsov, K. Makris, D. Christodoulides, G. Stegeman, R. Morandotti, H. Yang, G. Salamo, and M. Sorel, “Power Thresholds of Families of Discrete Surface Solitons”, Opt. Lett. 32,84315 (2007). [A.52]Y. Linzon, R. Morandotti, M. Volatier, V. Aimez, R. Arès, and S. Bar-Ad,“Nonlinear Scattering and Trapping by Local Photonic Potentials”, Phys. Rev. Lett.99, 133901 (2007). [A.51] Y. Linzon, Y. Shavit, M. Elazar, R. Morandotti, M. Volatier-Ravat, V. Aimez, R. Arès, and S. Bar-Ad, “Single Beam Mapping of Nonlinear Phase Shift Profiles in Planar Waveguides with an Embedded Mirror”, Op. Ex. 15, 12068 (2007). [A.50] S. Suntsov, K.G. Makris, D.N. Christodoulides, G.I. Stegeman, R. Morandotti, M. Volatier, V. Aimez, R. Arès, C.E. Rüter, and D. Kip, “Optical Modes at the Interface between Two Dissimilar Discrete Meta-Materials”, Op. Ex.15, 4663 (2007). [A.49] M. Gaidi, M. Chaker, P.F. Ndione, R. Morandotti, and B. Bessais, “Microstructural and Optical Properties of Ba0.5Sr0.5TiO3 Thin Film Deposited by Pulsed Laser Deposition For Low Loss Waveguide Applications” Journal of Applied Physics 101, 063107 (2007). [A.48] D. Duchesne, R. Morandotti, and J. Azaña, “Temporal Talbot Phenomena in High-Order Dispersive Media”, Journal of the Opt. Soc. of America B24, 113 (2007). [A.47] Y. Lahini, E. Frumker, Y. Silberberg, S. Droulias, K. Hizanidis, R. Morandotti, and D.N. Christodoulides, ˝Discrete X-Waves Formation in Nonlinear Waveguide Arrays˝, Phys. Rev. Lett. 98, 023901 (2007). [A.39] T.C. Kleckner, D. Modotto, A. Locatelli, J.P. Mondia, S. Linden, R. Morandotti, C. De Angelis, C.R. Stanley, H.M. van Driel, and J.S. Aitchison, “Design, Fabrication and Characterization of Deep-etched Waveguide Gratings”, IEEE/OSA Journal of Lightwave Technology, 23, 3832 (2005). [A.38] J. Meier, G.I. Stegeman, D.N. 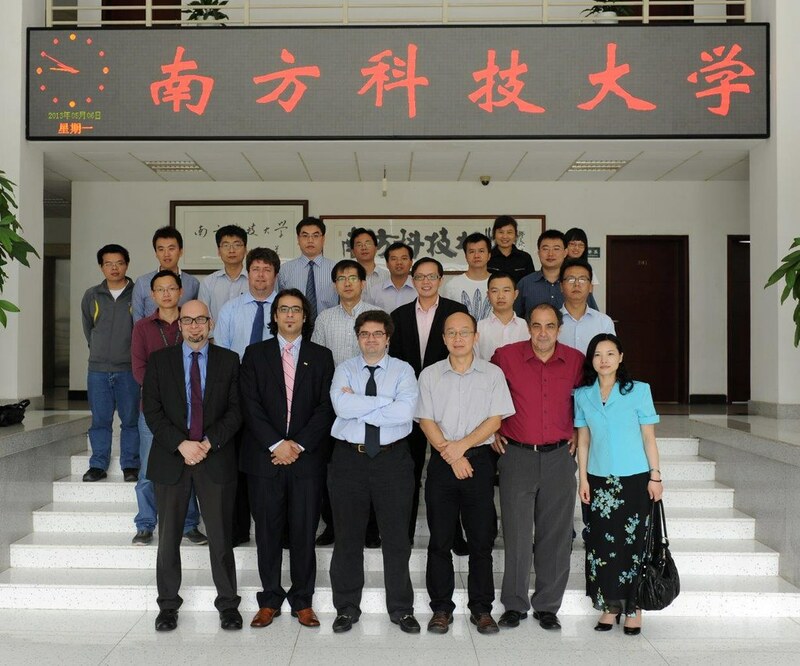 Christodoulides, R. Morandotti, G. Salamo, H. Yang, M. Sorel, Y. Silberberg, and J.S. Aitchison, “Incoherent Blocker Soliton Interactions in Kerr Waveguide Arrays”, Optics Letters30, 3174 (2005). [A.37] S. Droulias, K. Hizanidis, D.N. Christodoulides, and R. Morandotti, “Waveguide Array-Grating Compressors”,Appl. Phys. Lett.87, 131104 (2005). [A.36] Y. Linzon, I. Ilsar, D. Cheskis, R. Morandotti, J.S. Aitchison, and S. Bar-Ad, “Near-Field Imaging of Nonlinear Pulse Propagation in Planar Silica Waveguides”, Phys. Rev. E 72, 066607 (2005). [A.35] J. Meier, D.N. Christodoulides, G.I. Stegeman, H. Yang, G. Salamo, R. Morandotti, J.S. Aitchison, and Y. Silberberg, “Wide Beam Stabilities and Instabilities in One Dimensional Arrays of Kerr-Nonlinear Channel Waveguides”, Optoelectronics Review, 13, 75 (2005). [A.34] R. Morandotti, H.S. Eisenberg, D. Mandelik, Y. Silberberg, D. Modotto M. Sorel, and J.S. Aitchison, “Interaction of Discrete Solitons with Structural Defects”, Optoelectronics Review, 13, 103 (2005). [A.33] J. Meier, J. Hudock,D.N. Christodoulides, G.I. Stegeman, H.Y. Yang, G. Salamo, R. Morandotti, J.S. Aitchison, and Y. Silberberg, “Excitation of Strongly Confined Scalar and Vector Self-Trapped Beams in One-Dimensional Arrays of Kerr-Nonlinear Channel Waveguides”, Journal of the Optical Society of America B 22, 1432 (2005). [A.32] M. Gaidi, L. Stafford, J. Margot, M. Chaker, and R. Morandotti, “Microfabricated SrTiO3 Ridge Waveguides”, Applied Physics Letters 86, 221106 (2005). [A.30] T.C. Kleckner, D. Modotto, A. Locatelli, J.P. Mondia, S. Linden, R. Morandotti, C. De Angelis, C.R. Stanley, H.M. Van Driel, and J.S. Aitchison, “Asymmetric Spectrum Evolution of High Power Short Pulses in AlGaAs Waveguides ”, Optics Communications 249, 201 (2005). [A.29] D. Modotto, C. De Angelis, M.A. Magana-Cervantes, R.M. De La Rue, R. Morandotti, S. Linden , H.M. van Driel, and J.S. Aitchison, “From Linear to Cubic Nonlinear Imaging Effects in Multimode Waveguides”, Journal of the Optical Society of America B22, 870 (2005). [A.28] J. Meier, G.I. Stegeman, D.N. 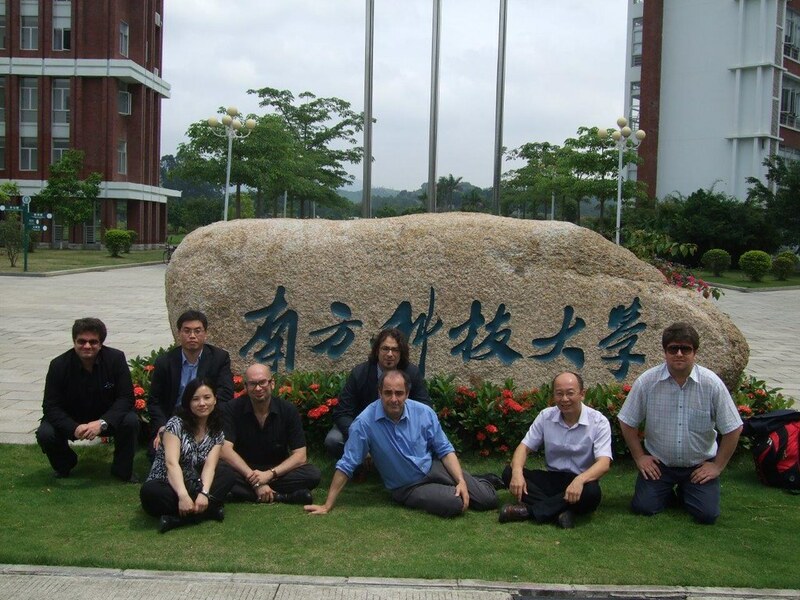 Christodoulides, R. Morandotti, M. Sorel, H. Yang, G. Salamo, J.S. Aitchison, Y. Silberberg, “Nonlinear Beam Interactions in 1D Discrete Kerr Systems”, Optics Express 13, 1797 (2005). [A.27] Y. Lahini, D. Mandelik, Y. Silberberg, and R. Morandotti, “Polarization Dependent Properties of Waveguide Arrays: Band-Structure Anomaly and High-Band Localizations”, Optics Express 13, 1762 (2005). [A.26] J. Meier, G.I. Stegeman, D.N. Christodoulides, Y. Silberberg, R. Morandotti, H. Yang, G. Salamo, M. Sorel and J.S. Aitchison, “Observation of Discrete Modulation Instabilities”, Optics and Photonics News, Special Issue “Optics of the Year”, 31 (2004). [A.24] M.A. Magaña-Cervantes, R.M. De La Rue, D. Modotto, C. De Angelis, S. Linden, J.P. Mondia, H.M. Van Driel, R. Morandotti, and J.S. Aitchison, “Kerr Nonlinear Effects in AlGaAs Multimode Waveguides”, Applied Physics Letters,85, 3390 (2004). [A.22] D. Cheskis, S. Bar-Ad, R. Morandotti, J.S. Aitchison, H.S. Eisenberg, Y. Silberberg, and D. Ross, “Stable Soliton vs Collapse Dynamics of Short Laser Pulses in Nonlinear Structures with Intermediate Dimensionality “, HAIT Journal of Science and Engineering1, 363 (2004). [A.21] S. Linden, J.P. Mondia, H.M. Van Driel, T.C. Kleckner, C.R. Stanley, D. Modotto, A. Locatelli, C. De Angelis, R. Morandotti, and J.S. Aitchison, “Nonlinear Transmission Properties of a Deep-Etched Microstructured Waveguide”, Applied Physics Letter84, 5437 (2004). [A.18] D. Cheskis, S. Bar-Ad, R. Morandotti, J.S. Aitchison, H.S. Eisenberg, Y. Silberberg and D. Ross, “Strong Spatio-temporal Localization in a Silica Nonlinear Waveguide Array”, Physical Review Letters 91, 223901 (2003). [A.10] R. Morandotti, H.S. Eisenberg, Y. Silberberg, M. Sorel and J.S. Aitchison, “Self-focusing and Defocusing in Waveguide Arrays”, Physical Review Letters 86, 3296 (2001). [A.9] U. Peschel, F. Lederer, R. Morandotti, J.S. Aitchison, H.S. Eisenberg and Y. Silberberg, “Steering and Locking of Discrete Solitons in Optical Waveguide Arrays”, Acta Physica Polonica A 99, 3296 (2001). [A.8] H. Eisenberg, Y. Silberberg, R. Morandotti, U. Peschel and J.S. Aitchison, “Steering of Discrete Solitons”, Nonlinear Optics 24, 207 (2000). [A.2] P. Rossi, E. Polli, M. Albicocco, H. Avakian, N. Bianchi, G.P. Capitani, A. Deppman, E. De Sanctis, V. Giourdjian, P. Levi Sandri, S. Mansanta, M. Mirazita, V. Muccifora, A.R. Reolon, M. Taiuti, A. Rottura, M. Anghinolfi, M. Battaglieri, P. Corvisiero, E. Golovach, A. Longhi, V.I. Mokeev, M. Olcese, G. Ricco, M. Ripani, M. Sanzone, V. Sapunenko, and R. Morandotti, “Performance of the New Plastic Scintillator NE110A for the CLAS Large Angle Calorimeter”, Nuclear Instruments and Methods in Physics Research, NIM A 381, 28 (1996). [A.1] M M. Taiuti, P. Rossi, R. Morandotti, M. Anghinolfi, H. Avakian, M. Battaglieri, N. Bianchi, P. Corvisiero, E. DeSanctis, V. Giourjian, P Levi Sandri, A. Longhi, V.I. Mokeev, V. Muccifor, M. Olcese, E. Polli, A.R. Reolon, G. Ricco, M. Ripani, M. Sanzone, A. Zucchiatti,“Measurement of the Response of Long Plastic Scintillator Bars for the Large Angle Electromagnetic Shower Calorimeter for CLAS”, Nuclear Instruments and Methods in Physics Research, NIM A370, 429 (1996).